Believe it or not, sometimes Art and I don’t agree on the food we like. He doesn’t care for meatloaf. He feels it’s boring, plus he has an aversion to ketchup. He remembers his mom making it once or twice and each time it was dry (sorry mama Rodriguez, his words not mine). Personally, I like meatloaf. I like meatloaf with mashed potatoes and gravy. Meatloaf sandwiches. Heck, at 3 a.m., I even like meatloaf in a flour tortilla with some good salsa. That’s when I had an idea. Why not kick-up the typical meatloaf recipe with roasted Pasilla peppers? The peppers give this recipe a delicate heat that is not overpowering. Give it a try. 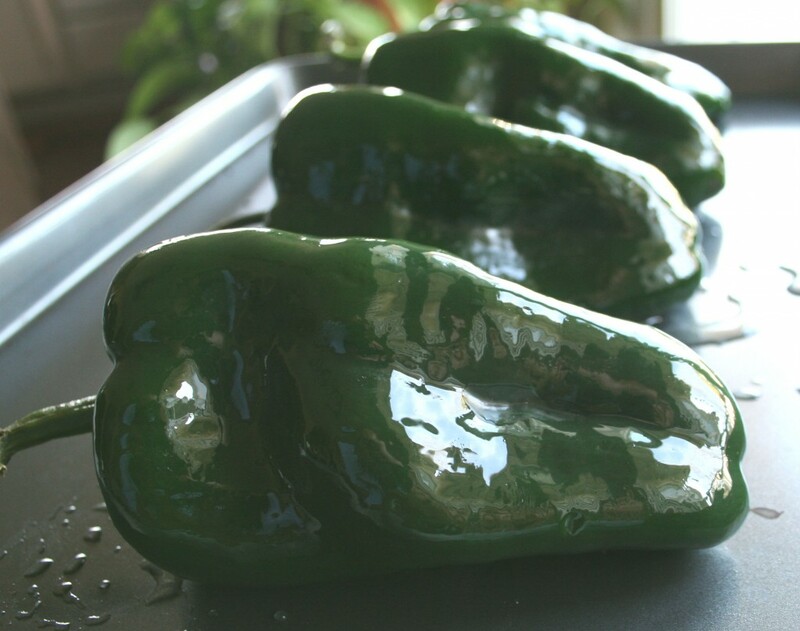 Roasting Pasilla peppers adds heat and another layer of flavor to your meatloaf. This is the best part! Use your hands to mix all the meatloaf ingredients. 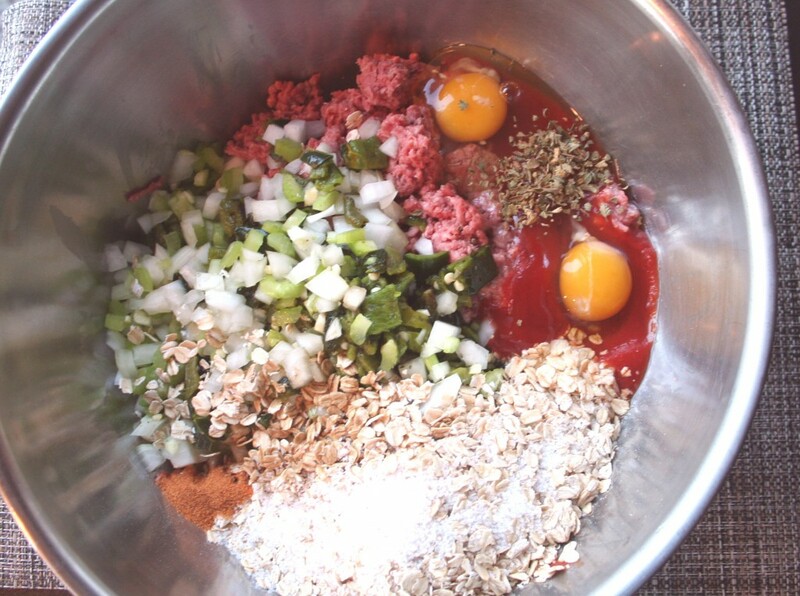 Get your hands dirty and combine all the meatloaf ingredients in a large bowl. You may beat the eggs before adding them to the mix, but I don’t. When fully mixed, place in a shallow 13 x 9 casserole dish. Create a channel along the sides to drain the grease. For the sauce, mix the grated onion, mustard, soy sauce, brown sugar, and the rest of the tomato sauce, vinegar and chile flakes in a small saucepan and heat gently. Do not bring to a boil. Pour half of the sauce along the top center of the loaf. Cover with foil and bake for 45 minutes. Drain the grease, add the remaining sauce to the top center and place back in the oven uncovered for another 30 minutes. Remove and let sit for 10 minutes before serving. Hi Larry, interesting. Looking at the photo I am thinking it may be the brown sugar because we have the red pepper flakes in the recipe. You could add some chili powder for extra heat. Good luck! Hope you enjoy it.